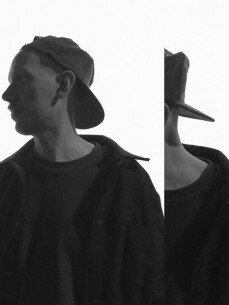 Bawrut is a Madrid based, Italian born producer and DJ. Heavily influenced by the work of Chicago pioneers, the established European teachers and every sound he can find on the internet or in digging sessions, Bawrut’s taste toes a wonderfully balanced line between classics and brand new tracks. Beginning by delivering his own music, mixtapes and goodies from his online headquarters, Silencio, his first forays into production received a warm welcome from a selection of DJs around the world before the online platform Ransom Note decided to launch their own label with a 12” of his material. Made up of music taken from Bawrut’s digital Silencio releases EP01 and EP02, R$N001 boasts the tracks ‘Ciquita’ and ‘1234’ which have been supported by people like Jackmaster, Axel Boman, Erol Alkan and Man Power. The Balearic godfather Alfredo has aslo shown his appreciation for the release and Bill Brewster introduced ‘Ciquita’ as a “crazy, mid ‘80s, slightly demented, Spanish/acid type of track we used to played in Ibiza”. Mixmag, DJ Mag, Test Pressing and Data Transmission have also proclaimed R$N001 as one of the freshest releases of 2016 so far.